This class is for beginners including those brand new to tennis. Stay in the know with weather and class updates through Remind. 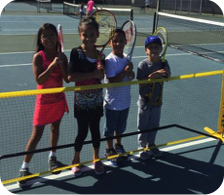 The Midlothian Tennis Association works to encourage youth tennis development within the community. Lessons are held throughout the year during Spring, Summer and Fall seasons. Seasons typically start in March, June and September and run 6 consecutive Saturdays or Sundays. 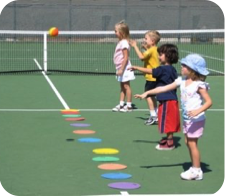 MTA lessons are a great place for beginners to learn the fundamentals of tennis and develop a love for the sport. Instructors will work with intermediate players from age 8 and up to expand their skills. For more information, contact us today or register online.